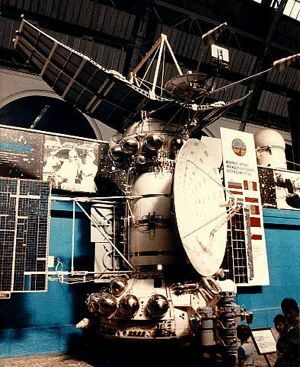 Russian series of spacecraft that explored the planet Venus. Venera spacecraft made the first soft landings on the surface of Venus and returned the first images from the surface. Family: Venus. People: Korolev, Glushko, Babakin, Ponomaryova, Tereshkova, Solovyova, Yerkina, Kuznetsova. Country: Russia. Spacecraft: Venera 1VA, Mars 2MV-1, Mars 2MV-2, Venera 3MV-1, Venera 3MV-4, Venera 3MV-3, Venera 1V (V-67), Venera 2V (V-69), Venera 3V (V-70), Venera 3V (V-72), Venera 4V-1, Venera 4V-2, Vega 5VK. Launch Vehicles: Molniya 8K78, Molniya 8K78M, Proton-K/D, Proton-K/D-1. Launch Sites: Baikonur. Agency: Korolev bureau, RVSN, MOM. 1962 August 25 - . 02:18 GMT - . Launch Site: Baikonur. Launch Complex: Baikonur LC1. LV Family: R-7. Launch Vehicle: Molniya 8K78. FAILURE: At T+60 min 50 sec one of the four solid motors of the escape stage's BOZ unit did not fire. The resulting asymmetric torque caused the stage to lose correct attitude and three seconds after ignition of the main engine S1.5400A1 it began to tumble.. Failed Stage: U.
Sputnik 19 - . Payload: 2MV-1 s/n 1. Mass: 890 kg (1,960 lb). Nation: Russia. Related Persons: Kuznetsova, Ponomaryova, Solovyova, Tereshkova, Yerkina. Agency: RVSN. Program: Venera, Vostok. Class: Venus. Type: Venus probe. Spacecraft Bus: 2MV. Spacecraft: Mars 2MV-1. Decay Date: 1962-08-28 . USAF Sat Cat: 371 . COSPAR: 1962-A-Pi-1. Apogee: 252 km (156 mi). Perigee: 173 km (107 mi). Inclination: 64.90 deg. Period: 88.70 min. Attempt to launch a probe towards Mars. The launch went well, but the fourth stage motor burnt for only 45s of the planned 240s. The stage remained in Earth orbit. However Kamanin notes that it was good that the launch of the basic vehicle was a success - it gave the visiting female cosmonauts confidence in the rocket they will have to ride. 1962 September 1 - . 02:12 GMT - . Launch Site: Baikonur. Launch Complex: Baikonur LC1. LV Family: R-7. Launch Vehicle: Molniya 8K78. FAILURE: At T+ 61 min 30 sec the fuel valve did not open. 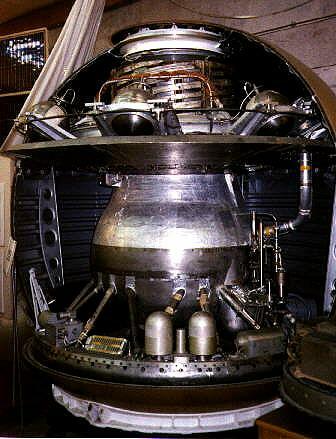 ; the ignition command was blocked from going to the main engine of Stage 4.. Failed Stage: U.
Sputnik 20 - . Payload: 2MV-1 s/n 2. Mass: 6,500 kg (14,300 lb). Nation: Russia. Agency: RVSN. Program: Venera. Class: Venus. Type: Venus probe. Spacecraft Bus: 2MV. Spacecraft: Mars 2MV-1. Decay Date: 1962-09-06 . USAF Sat Cat: 381 . COSPAR: 1962-A-Tau-1. Apogee: 246 km (152 mi). Perigee: 185 km (114 mi). Inclination: 64.70 deg. Period: 88.80 min. 1962 September 12 - . 00:59 GMT - . Launch Site: Baikonur. Launch Complex: Baikonur LC1. LV Family: R-7. Launch Vehicle: Molniya 8K78. FAILURE: At T+531 sec, the fourth vernier chamber of Stage 3's 8D715K engine exploded because the LOX cut-off valve had not closed as scheduled and LOX flowed into the hot chamber.. Failed Stage: U.
Sputnik 21 - . Payload: 2MV-2 s/n 1. Mass: 6,500 kg (14,300 lb). Nation: Russia. Agency: RVSN. Program: Venera. Class: Venus. Type: Venus probe. Spacecraft Bus: 2MV. Spacecraft: Mars 2MV-2. Decay Date: 1962-09-14 . USAF Sat Cat: 389 . COSPAR: 1962-A-Phi-1. Apogee: 218 km (135 mi). Perigee: 179 km (111 mi). Inclination: 64.90 deg. Period: 88.40 min. The escape stage entered parking orbit but the main engine cut off just 0.8 s after ignition due to cavitation in the oxidiser pump and pump failure..
Venera 4 - . Payload: 1V (V-67) s/n 310. Mass: 1,104 kg (2,433 lb). Nation: Russia. Agency: MOM. Program: Venera. Class: Venus. Type: Venus probe. Spacecraft Bus: 2MV. Spacecraft: Venera 1V. Decay Date: 1967-10-18 . USAF Sat Cat: 2840 . COSPAR: 1967-058A. Cosmos 167 - . Payload: 1V (V-67) s/n 311. Mass: 1,106 kg (2,438 lb). Nation: Russia. Agency: MOM. Program: Venera. Class: Venus. Type: Venus probe. Spacecraft Bus: 2MV. Spacecraft: Venera 1V. Decay Date: 1967-06-25 . USAF Sat Cat: 2852 . COSPAR: 1967-063A. Apogee: 264 km (164 mi). Perigee: 211 km (131 mi). Inclination: 51.80 deg. Period: 89.20 min. 1969 January 10 - . 05:51 GMT - . Launch Site: Baikonur. Launch Complex: Baikonur LC1. Launch Pad: LC1 or LC31. LV Family: R-7. Launch Vehicle: Molniya 8K78M. Venera 6 - . Payload: 2V (V-69) s/n 331. Mass: 1,128 kg (2,486 lb). Nation: Russia. Agency: MOM. Program: Venera. Class: Venus. Type: Venus probe. Spacecraft Bus: 2MV. Spacecraft: Venera 2V. Decay Date: 1969-05-17 . USAF Sat Cat: 3648 . COSPAR: 1969-002A. Venera 6 was launched towards Venus to obtain atmospheric data. 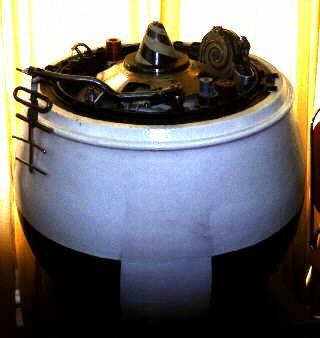 When the atmosphere of Venus was approached, a capsule weighing 405 kg was jettisoned from the main spacecraft. This capsule contained scientific instruments. During descent towards the surface of Venus, a parachute opened to slow the rate of descent. For 51 min on May 17, 1969, while the capsule was suspended from the parachute, data from the Venusian atmosphere were returned. The spacecraft also carried a medallion bearing the coat of arms of the U.S.S.R. and a bas-relief of V.I. Lenin to the night side of Venus. 1975 June 8 - . 02:38 GMT - . Launch Site: Baikonur. Launch Complex: Baikonur LC81/24. LV Family: Proton. Launch Vehicle: Proton-K/D. Venera 9 - . Payload: 4V-1 s/n 660. Mass: 4,936 kg (10,882 lb). Nation: Russia. Agency: MOM. Program: Venera. Class: Venus. Type: Venus probe. Spacecraft Bus: 4MV. Spacecraft: Venera 4V-1. USAF Sat Cat: 7915 . COSPAR: 1975-050A. Apogee: 112,200 km (69,700 mi). Perigee: 1,510 km (930 mi). Inclination: 34.15 deg. Period: 2,898.00 min. Combined Venus orbiter/lander mission. After separation of the lander, the orbiter spacecraft entered Venus orbit and acted as a communications relay for the lander and explored cloud layers and atmospheric parameters. On October 20, 1975, the Descent Craft was separated from the Orbiter, and landing was made with the sun near zenith at 05:13 GMT on October 22. The Descent Craft included a system of circulating fluid to distribute the heat load. This system, plus precooling prior to entry, permitted operation of the spacecraft for 53 min after landing. The landing was about 2,200 km from the Venera 10 landing site. Preliminary results indicated: (A) clouds 30-40 km thick with bases at 30-35 km altitude, (B) atmospheric constituents including HCl, HF, Br, and I, (C) surface pressure about 90 (earth) atmospheres, (D) surface temperature 485 deg C, (E) light levels comparable to those at earth midlatitudes on a cloudy summer day, and (F) successful TV photography showing shadows, no apparent dust in the air, and a variety of 30-40 cm rocks which were not eroded. Venera 9 and 10 were the first probes to send back black and white pictures from the Venusian surface. They were supposed to make 360 degree panoramic shots, but on both landers one of two camera covers failed to come off, restricting their field of view to 180 degrees. Parameters are for Venus orbit. 1975 June 14 - . 03:00 GMT - . Launch Site: Baikonur. Launch Complex: Baikonur LC81/24. LV Family: Proton. Launch Vehicle: Proton-K/D. Venera 10 - . Payload: 4V-1 s/n 661. Mass: 5,033 kg (11,095 lb). Nation: Russia. Agency: MOM. Program: Venera. Class: Venus. Type: Venus probe. Spacecraft Bus: 4MV. Spacecraft: Venera 4V-1. USAF Sat Cat: 7947 . COSPAR: 1975-054A. Apogee: 113,900 km (70,700 mi). Perigee: 1,620 km (1,000 mi). Inclination: 29.50 deg. Period: 2,963.00 min. The orbiter spacecraft entered Venus orbit and was separated from the lander on October 23, 1975. The lander touched down with the sun near zenith, at 05:17 GMT, on October 25. A system of circulating fluid was used to distribute the heat load. This system, plus precooling prior to entry, permitted operation of the spacecraft for 65 min after landing. During descent, heat dissipation and deceleration were accomplished sequentially by protective hemispheric shells, three parachutes, a disk-shaped drag brake, and a compressible, metal, doughnut-shaped, landing cushion. The landing was about 2,200 km distant from Venera 9. Preliminary results provided: (A) profile of altitude (km)/pressure (earth atmospheres) / temperature (deg C) of 42/3.3/158, 15/37/363, and 0/92/465, (B) successful TV photography showing large pancake rocks with lava or other weathered rocks in between, and (C) surface wind speed of 3.5 m/s. Venera 9 and 10 were the first probes to send back black and white pictures from the Venusian surface. They were supposed to make 360 degree panoramic shots, but on both landers one of two camera covers failed to come off, restricting their field of view to 180 degrees. 1978 September 9 - . 03:25 GMT - . Launch Site: Baikonur. Launch Complex: Baikonur LC81/23. LV Family: Proton. Launch Vehicle: Proton-K/D-1. Venera 11 - . Payload: 4V-1 s/n 360. Mass: 4,715 kg (10,394 lb). Nation: Russia. Agency: MOM. Program: Venera. Class: Venus. Type: Venus probe. Spacecraft Bus: 4MV. Spacecraft: Venera 4V-1. USAF Sat Cat: 11020 . COSPAR: 1978-084A. Venera 11 was part of a two-spacecraft mission to study Venus and the interplanetary medium. Each of the two spacecraft, Venera 11 and Venera 12, consisted of a flight platform and a lander probe. Identical instruments were carried on both spacecraft. Venera 11 was launched into a 177 x 205 km, 51.5 degree inclination earth orbit from which it was propelled into a 3.5 month Venus transfer orbit. After ejection of the lander probe, the flight platform continued on past Venus in a heliocentric orbit. Near encounter with Venus occurred on December 25, 1978, at approximately 34,000 km altitude. The flight platform acted as a data relay for the descent craft for 95 minutes until it flew out of range and returned its own measurements on interplanetary space. The Venera 11 descent craft separated from its flight platform on December 23, 1978 and entered the Venus atmosphere two days later at 11.2 km/sec. During the descent, it employed aerodynamic braking followed by parachute braking and ending with atmospheric braking. It made a soft landing on the surface at 06:24 Moscow time on 25 December after a descent time of approximately 1 hour. The touchdown speed was 7-8 m/s. Both Venera 11 and 12 landers failed to return colour television views of the surface and perform soil analysis experiments. All of the camera protective covers failed to eject after landing (the cause was not established) The soil drilling experiment was apparently damaged by a leak in the soil collection device, the interior of which was exposed to the high Venusian atmospheric pressure. The leak had probably formed during the descent phase because the lander was less aerodynamically stable than had been thought. Two further experiments on the lander failed as well. Results reported included evidence of lightning and thunder, a high Ar36/Ar40 ratio, and the discovery of carbon monoxide at low altitudes. 1978 September 14 - . 02:25 GMT - . Launch Site: Baikonur. Launch Complex: Baikonur LC81/24. LV Family: Proton. Launch Vehicle: Proton-K/D-1. Venera 12 - . Payload: 4V-1 s/n 361. Mass: 4,715 kg (10,394 lb). Nation: Russia. Agency: MOM. Program: Venera. Class: Venus. Type: Venus probe. Spacecraft Bus: 4MV. Spacecraft: Venera 4V-1. USAF Sat Cat: 11025 . COSPAR: 1978-086A. Venera 12 was part of a two-spacecraft mission to study Venus and the interplanetary medium. Each of the two spacecraft, Venera 11 and Venera 12, consisted of a flight platform and a lander probe. Identical instruments were carried on both spacecraft. Venera 12 was launched into a 177 x 205 km, 51.5 degree inclination Earth orbit from which it was propelled into a 3.5 month Venus transfer orbit which involved two mid-course corrections, on 21 September and 14 December. After ejection of the lander probe on 19 December, two days before encounter, the flight platform continued on past Venus in a heliocentric orbit. Near encounter with Venus occurred on December 21, 1978, at approximately 34,000 km altitude. The flight platform acted as a data relay for the descent craft for 110 minutes until it flew out of range and returned to its own measurements on interplanetary space. The Venera 12 descent craft entered the Venus atmosphere at 11.2 km/sec two days after separation from the flight bus. During the descent, it employed aerodynamic braking followed by parachute braking and ending with atmospheric braking. It made a soft landing on the surface at 06:30 Moscow time on 21 December after a descent time of approximately 1 hour. The touchdown speed was 7-8 m/s. Both Venera 11 and 12 landers failed to return colour television views of the surface and perform soil analysis experiments. All of the camera protective covers failed to eject after landing (the cause was not established) The soil drilling experiment was apparently damaged by a leak in the soil collection device, the interior of which was exposed to the high Venusian atmospheric pressure. The leak had probably formed during the descent phase because the lander was less aerodynamically stable than had been thought. Therefore the landing gear of the following two landers (Venera-13/14) were equipped with tooth-shaped stabilisers. Results reported included evidence of lightning and thunder, a high Ar36/Ar40 ratio, and the discovery of carbon monoxide at low altitudes. The Venera-12 flyby bus continued in solar orbit and successfully used its Soviet-French ultraviolet spectrometer to study Comet Bradfield on 13 February 1980 (one year and two months after its Venus encounter). At that time the spacecraft was 190,373,790 km from Earth. 1981 October 30 - . 06:04 GMT - . Launch Site: Baikonur. Launch Complex: Baikonur LC200/40. LV Family: Proton. Launch Vehicle: Proton-K/D-1. Venera 13 - . Payload: 4V-1 s/n 760. Mass: 4,500 kg (9,900 lb). Nation: Russia. Agency: MOM. Program: Venera. Class: Venus. Type: Venus probe. Spacecraft Bus: 4MV. Spacecraft: Venera 4V-1. USAF Sat Cat: 12927 . COSPAR: 1981-106A. Venera 13 and 14 were identical spacecraft built to take advantage of the 1981 Venus launch opportunity and launched 5 days apart. After launch and a four month cruise to Venus, the descent vehicle separated and plunged into the Venus atmosphere on 1 March 1982. As it flew by Venus the bus acted as a data relay for the brief life of the descent vehicle, and then continued on into a heliocentric orbit. After the descent vehicle braked to subsonic speed a parachute was deployed. At an altitude of 47 km the parachute was released and simple airbraking was used the rest of the way to the surface. Venera 13 landed about 950 km northeast of Venera 14 at 7 deg 30 min S, 303 E, just east of the eastern extension of an elevated region known as Phoebe Regio. The area was composed of bedrock outcrops surrounded by dark, fine-grained soil. After landing an imaging panorama was started and a mechanical drilling arm reached to the surface and obtained a sample, which was deposited in a hermetically sealed chamber, maintained at 30 degrees C and a pressure of about .05 atmospheres. The composition of the sample, as determined by the X-ray flourescence spectrometer, put it in the class of weakly differentiated melanocratic alkaline gabbroids. The lander survived for 127 minutes (the planned design life was 32 minutes) in an environment with a temperature of 457 degrees C and a pressure of 84 Earth atmospheres. The bus carried instruments built by Austrian and French specialists, as well as Soviet scientific equipment. 1981 November 4 - . 05:31 GMT - . Launch Site: Baikonur. Launch Complex: Baikonur LC200/39. LV Family: Proton. Launch Vehicle: Proton-K/D-1. Venera 14 - . Payload: 4V-1 s/n 761. Mass: 4,000 kg (8,800 lb). Nation: Russia. Agency: MOM. Program: Venera. Class: Venus. Type: Venus probe. Spacecraft Bus: 4MV. Spacecraft: Venera 4V-1. USAF Sat Cat: 12938 . COSPAR: 1981-110A. Venera 13 and 14 were identical spacecraft built to take advantage of the 1981 Venus launch opportunity and launched 5 days apart. After launch and a four month cruise to Venus, the descent vehicle separated and plunged into the Venus atmosphere on 5 March 1982. As it flew by Venus the bus acted as a data relay for the brief life of the descent vehicle, and then continued on into a heliocentric orbit. The parachute of the descent vehicle opened after the lander reached subsonic speed. At an altitude of about 50 km the parachute was released and simple airbraking was used the rest of the way to the surface. Venera 14 landed about 950 km southwest of Venera 13 near the eastern flank of Phoebe Regio at 13 deg 15 min S by 310 E on a basaltic plain. After landing an imaging panorama was started It has been reported that the surface analysis arm accidentally landed on one of the ejected camera covers and therefore didn't send back any data on the Venusian soil. This is visible in photographs sent back. On the other hand, the official account very specifically states that the mechanical drilling arm obtained a sample, which was deposited in a hermetically sealed chamber, maintained at 30 degrees C and a pressure of about .05 atmospheres. The composition of the sample was determined by the X-ray flourescence spectrometer, showing it to be similar to oceanic tholeiitic basalts. The lander survived for 57 minutes (the planned design life was 32 minutes) in an environment with a temperature of 465 degrees C and a pressure of 94 Earth atmospheres. 1983 June 2 - . 02:38 GMT - . Launch Site: Baikonur. Launch Complex: Baikonur LC200/39. LV Family: Proton. Launch Vehicle: Proton-K/D-1. Venera 15 - . Payload: 4V-2 s/n 860. Mass: 4,000 kg (8,800 lb). Nation: Russia. Agency: MOM. Program: Venera. Class: Venus. Type: Venus probe. Spacecraft Bus: 4MV. Spacecraft: Venera 4V-2. USAF Sat Cat: 14104 . COSPAR: 1983-053A. Apogee: 65,000 km (40,000 mi). Perigee: 1,000 km (600 mi). Inclination: 87.50 deg. Period: 1,440.00 min. Venera 15 was part of a two spacecraft mission (along with Venera 16) designed to use side-looking radar mappers to study the surface properties of Venus. The two spacecraft were inserted into Venus orbit a day apart with their orbital planes shifted by an angle of approximately 4 degrees relative to one another. This made it possible to reimage an area if necessary. Each spacecraft was in a nearly polar orbit with a periapsis at 62 N latitude. Together, the two spacecraft imaged the area from the north pole down to about 30 degrees N latitude over the 8 months of mapping operations. Data is for Venus orbit. 1983 June 7 - . 02:32 GMT - . Launch Site: Baikonur. Launch Complex: Baikonur LC200/40. LV Family: Proton. Launch Vehicle: Proton-K/D-1. Venera 16 - . Payload: 4V-2 s/n 861. Mass: 4,000 kg (8,800 lb). Nation: Russia. Agency: MOM. Program: Venera. Class: Venus. Type: Venus probe. Spacecraft Bus: 4MV. Spacecraft: Venera 4V-2. USAF Sat Cat: 14107 . COSPAR: 1983-054A. Venus radar mapper; entered Venus orbit 10/14/83. Venera 16 was part of a two spacecraft mission (along with Venera 15) designed to use side-looking radar mappers to study the surface properties of Venus. The two spacecraft were inserted into Venus orbit a day apart with their orbital planes shifted by an angle of approximately 4 degrees relative to one another. This made it possible to reimage an area if necessary. Each spacecraft was in a nearly polar orbit with a periapsis at 62 N latitude. Together, the two spacecraft imaged the area from the north pole down to about 30 degrees N latitude over the 8 months of mapping operations. 1984 December 15 - . 09:16 GMT - . Launch Site: Baikonur. Launch Complex: Baikonur LC200/39. LV Family: Proton. Launch Vehicle: Proton-K/D-1. Vega 1 - . Payload: 5VK s/n 901. Mass: 4,000 kg (8,800 lb). Nation: Russia. Agency: MOM. Program: Venera. Class: Venus. Type: Venus probe. Spacecraft Bus: 5MV. Spacecraft: Vega 5VK. USAF Sat Cat: 15432 . COSPAR: 1984-125A. Investigations of the planet Venus and Halley's Comet. The APV-V plasma antenna did not deploy until the first mid-course correction burn. Deployed lander and balloon at Venus on June 19 1985. Rendezvoused with comet Halley on March 6, 1986. Fitted with scientific apparatus and equipment built in the USSR, Austria, Bulgaria, Hungary, German Democratic Republic, Poland, France, Federal Republic of Germany and C zechoslovakia. 1984 December 21 - . 09:13 GMT - . Launch Site: Baikonur. Launch Complex: Baikonur LC200/40. LV Family: Proton. Launch Vehicle: Proton-K/D-1. Vega 2 - . Payload: 5VK s/n 902. Mass: 4,000 kg (8,800 lb). Nation: Russia. Agency: MOM. Program: Venera. Class: Venus. Type: Venus probe. Spacecraft Bus: 5MV. Spacecraft: Vega 5VK. USAF Sat Cat: 15449 . COSPAR: 1984-128A. Investigations of the planet Venus and Halley's Comet. The APV-V plasma antenna did not deploy until the first mid-course correction burn. Deployed lander and balloon at Venus on June 14, 1985. The surface experiments of the lander failed to send back data because they were inadvertently switched on at an altitude of 20 km. Apparently high winds activated a G-force sensor that was to automatically switch on the surface package after the jolt of touchdown. The bus continued in heliocentric orbit and rendezvoused with comet Halley on March 9, 1986. The images of the comet were nearly lost when a television sensor failed shortly before the flyby. A back-up sensor was activated just in time. Fitted with scientific apparatus and equipment built in the USSR, Austria, Bulgaria, Hungary, German Democratic Republic, Poland, France, Federal Republic of Germany and C zechoslovakia.